SEFAC ball-screw technology (or ball bearing technology) has many benefits compared with other technologies. No energy is lost due to friction. Thanks to ball-screw technology, SEFAC mobile lifts are 90% efficient. Ball-screw technology is highly efficient, reducing your power bills. 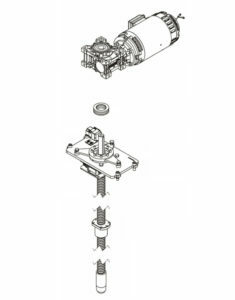 The screw is protected (with a protective strip or flap), to minimize the dirt reaching the screw/nut assembly and reduce wear and maintenance. The electro-mechanical system can be combined with wireless technology thanks to this highly efficient ball-screw technology (embedded batteries are required). Despite adding these batteries, SEFAC still sells the lightest mobile columns on the market. The transmission system is driven by a motor with a brake. This brake will be automatically applied when the lift is not operating. In addition, a safety ratchet with a 0.1-inch pitch is fitted on each solution (which is considerably better than the +/-1.97 inches traditionally used on hydraulic columns). With ball-screw technology, there is no need to deploy a vertical support leg for safety reasons, which could potentially damage your vehicles (as is the case for hydraulic columns). No risk of hydraulic leaks exists with our ball-screw system. The viscosity of the fluids used in hydraulic systems can downgrade the performance of these systems in cold weather. 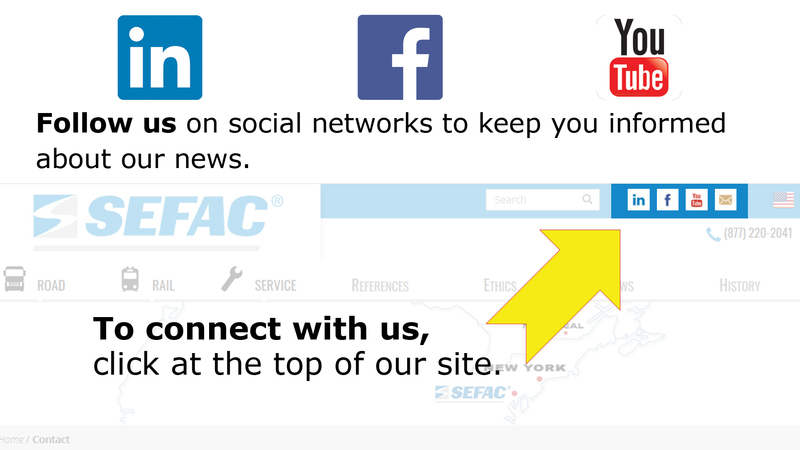 SEFAC columns include no hydraulic systems and are operational in all weather conditions.